In last year’s post, I mentioned I had read a book over Christmas that I wasn’t allowed to talk about in any detail. This is that book. The upside of working for a publisher is that you get to read things really early, the down side is that sometimes it’s all hush-hush. But anyone who knows me and my slight obsession with Patrick Ness might have guessed at this. While there has been some discussion around how much of a ‘cross-over’ this one is, I loved it nonetheless. It made me laugh and it made me remember high school vividly. I never disliked my time at school, but I never felt like part of the in crowd. Not that it bothered me. I had my friends and we did our own thing. The ‘Indie Kids’ in ‘The Rest of Us’ were the YA lit embodiment of that feeling for me. And how I laughed! The opening to each chapter is a snapshot of what’s going on with the Indie Kids: Hilarious! While this one isn’t being published until April 2016, I’ve been able to read it and can tell you how wonderful it is. A new book from Kate DiCamillo is an event on my calendar and this is no exception. Three girls, including Raymie Clarke, have very different reasons for entering the Little Miss Central Florida Tire competition. For Raymie, she has realised that absolutely everything depends upon her, and getting her picture in the paper will (maybe) get her father to come home. 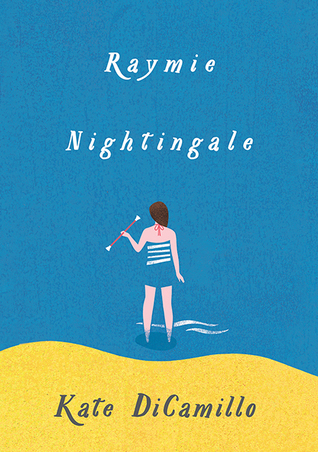 Kate DiCamillo has a way of, not so much breaking your heart, but showing you all its cracks, before then quietly mending them. This is definitely one to look out for next year. After being blown away last year by ‘Two Boys Kissing’, I’ve been trying to catch up on my David Levithan reading. I read four of his books this year, but decided I’d just put two of them in my top ten, you know, to leave room for some other people. Every Day is kind of brilliant in the way it establishes a character that wakes up in a different body every day. A has learned to survive their existence until they meet a girl and fall in love. But when you’re in a different body every day romance is not so straight forward. If you’re like me and looking for interesting and varied gender representations, then is one is a must. A’s sense of self is not tied to a body, it’s truly fascinating. The Realm of Possibility, on the other hand, is a collection of vignettes in verse format. This does an amazing job of capturing different perspectives. I had quite a few ‘wowser!’ moments in this one. Yes, you may have seen the Studio Ghibli film. Yes, it is wonderful. But do yourself a favour and read the book. As is all things, there are nuances lost in the translation to film. For starters the novel is a powerful story with delightful feminist overtones which I felt weren’t there in the film. This is fantasy at its best. 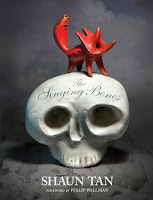 I’ve always enjoyed Meg McKinlay’s books, and I think that this is her best yet. My review on Goodreads sums up what I think succinctly: A beautifully written, quiet adventure that takes you spelunking into questions of gender and power. Wonderful. Set in a society that has developed in a valley after an earthquake trapped their ancestors there, these people believe that they are the only survivors and as life has evolved for them, so have their superstitions. This is one of the most understated, subtle and powerful dystopian books I’ve ever read. It is not overreaching in its reliance on action to drive its ideas, but shows how everyday life could be should we discover the ways to chase the so-called utopia that it presents. What would it mean to ensure no war or violence, no hate or sadness? What other freedoms would we relinquish to achieve this? I’ve been meaning on reading this for years and finally got around to it because the film was coming, and, as always, I wanted to read it before I saw it. It’s wonderful and powerful and heartbreaking and brilliantly written. I really urge you to read it. The film is also very well done quite a good adaption that captured the humour along with the grief. 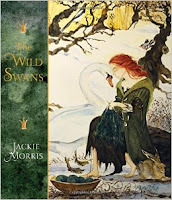 I have always been a huge fan of Jackie Morris’ picture books. Her illustrations are stunning and evocative and magical. So a few years ago when she did a version of East of the Sun, West of the Moon, I was in love. The Wild Swans, is even more beautiful, if that is possible. These novel length re-tellings of fairy tales are accompanied by her beautiful illustrations and packaged in lovely smaller format hardbacks. She can just keep on doing these until there’s no more fairy tales left to do, as far as I’m concerned. They’re perfect for any book collector. I just REALLY hope she does The Snow Queen next! I have been listening to a whole bunch of classics on audio book while I drive this year, trying to get a few under my belt that I hadn’t read. They have been a mixture of dated disappointments and lasting delights. 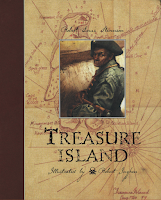 Treasure Island is by far one of the highlights. And the audio version read by Jasper Britton is brilliant! His voices are perfect and consistent. I absolutely can see why this is a classic. As with last year, there is another title that would have made this list, but I’m not supposed to be talking about it yet. So, it will have to wait until next years’ list. This one is an extra one, that I’m putting first, because it’s astounding, and also because it’s not especially a ‘picture book’. His amazing sculptural interpretations of fairy tales are beautifully photographed. I was lucky enough to see the exhibition of the whole collection and hear Shaun talk about their creation. I was then lucky enough to purchase one of the sculptures which now has pride of place in our living room. It makes me happy every time I see it, knowing that it’s a one-of-a-kind Shaun Tan original. This is a simply gorgeous picture book, from its striking cover, its end papers to its beautiful story. It speaks of following your dreams but how your home and your friends are always meaningful, perhaps even your biggest fans. This book has a cinematic drama to it that makes me long to see it as an animated film (short or otherwise). Oh, and be sure to slide the dust jacket up, it’s a delight. 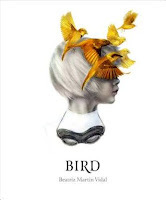 Beatriz Martin Vidal’s books have a habit of catching my eye from across a bookshop. I’ll think to myself, hello pretty, what’s this? And when I reach it I realise, of course, it’s another Beatriz. This one was no exception. Simple; it follows the moments leading up to when a child prepared to take flight. At the same time one of the other birds comes in to land. Each transforms. That is all. And that is all that is needed. 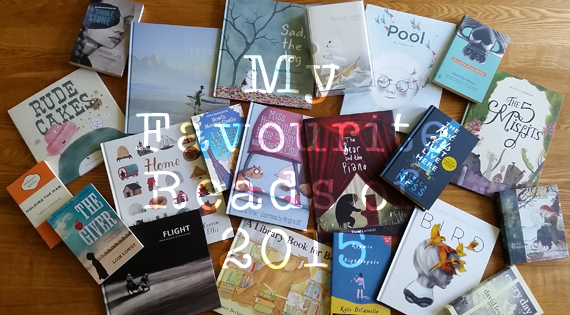 Quite a few wordless picture books recently that have been outstanding. Pool is one of them. Underwater discoveries amaze and delight when friendship and imagination are explored away from the squabbling crowds at the local pool. 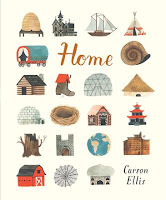 This spectacular meditation on dwellings of all kinds could be used to spur conversation or imagination with children or even between adults. I love pouring over its pages, I’m sure you will too. Don’t forget to follow the bird. I’ve been a fan of Birgitta Sif ever since she relased ‘Oliver’ a few years back. She has yet to disappoint. But that does not mean that she is the sole reason I love this book. Alicia Potter’s text is a pure joy to read. I’m not even particularly a ‘cat person’! (being allergic to them and all…) But if you are a cat person, then this book is a must! However, I need to say that Birgitta Sif’s illustrations have such a warmth to them each one is like a cosy hug from an old friend. This book was recommended to me by a friend, she thought I would like it. She thought right. 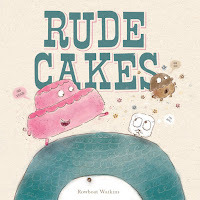 It begins “Rude cakes never say please, and they never say thank you…” so you wonder have you stumbled upon one of those dry and boring manners books? I assure you, you haven’t. For starters, they’re cakes. Quite literally. Then you get to the part where “they also think baths are dumb and that bedtime is for donut holes.” (Oh, I laugh!) But then “Giant Cyclopses LOVE…” I will leave you to read the dramatic twist yourselves. Let’s just say that Rude Cakes get what’s coming to them! 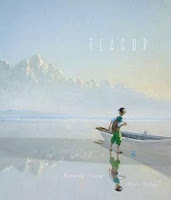 I have to say, Matt Ottley has outdone himself with the illustrations in this exquisite picture book. It is a beautiful story of hope in the face of an empty horizon. It could be an allegory about many things, immigration and refugees or simply finding direction in your own life, and how holding onto a piece of home can be enough to eventually lay down roots. However you read it, it is stunningly illustrated. Sandy Fussell has written many wonderful middle fiction books, including the Samurai Kids series. So when I discovered she had a picture book, I was very excited. Even more so when I learned that Tull Suwannakit was illustrating it. His fantastic ‘What Happen’s Next?’ is well worth looking up. 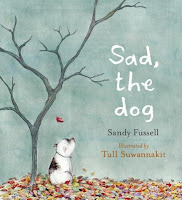 Sad, the Dog, is one of those books that you must read all the way through. I’ve seen people pick it up and flick through and say that it’s too sad. Yes, it starts off sad, that’s the point, but what a happy ending! Anyone who has any affection for dogs or rescue animals will appreciate this even more so. This is the fifth story in the series with these delightful duo, Bear and Mouse are back! 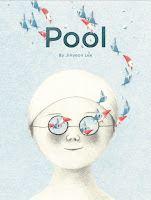 It’s true, I’ve been known, on more than one occasion, to describe these books as “some of the best picture books on the planet.” I stand by it. It doesn’t matter how many times I’ve read them. 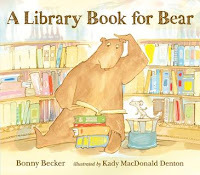 Yes, in the past I’ve been laughing in the study and my partner has walked in saying, “You’re reading those Bear and Mouse Books again, aren’t you?” These are books that the illustrations are FULL of expression but the text is beyond delightful to read aloud. Paired, the two provide riotous laughs for all. 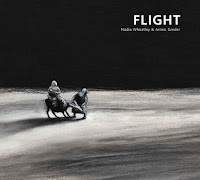 I’ve always been drawn to Armin Greder’s illustrations and they perfectly suit the powerful text by Nadia Wheatley. Arresting and compelling, an emotional landscape is painted before us as we follow the plight of a refugee couple. When all hope is lost, the refugee camp is found. But surely this is not the end of the journey. The final page sees mother and child staring at the reader: “’One day,’ he promises his mother, ‘we will reach our new home.’” Is it a question? Of who? I'm always interested to discover what gems you discovered this year. Please let me know books I should be keeping an eye out for. The book you've listed that I wanted to read, but didn't get to, was The Rest of Us Just Live Here. I'll get to it this year. I used to teach The Giver to year 8 students, and it got better with each read. 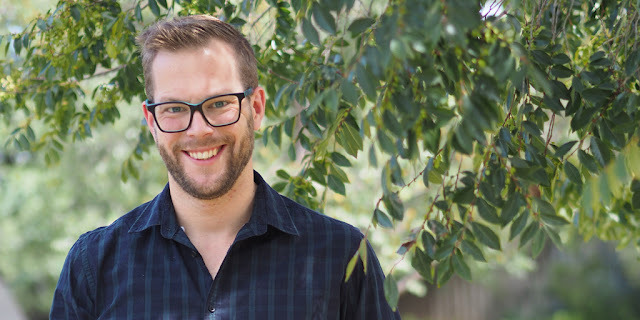 Nice to see you putting that Mac degree to use with this charming blog! I was in one of your classes, although I can't remember which..maybe writing YA fiction. Regardless, nice to have found you. I think we did one of the creative writing units together :) By the looks of your blog, you're having fun!